20 years from now you will be more disappointed by the things that you didn’t do than by the ones you did do. So throw off the bowlines. Sail away from the safe harbor. Catch the trade winds in your sails. Explore. Dream. Discover – H. Jackson Brown Jr. Nothing is created without dreaming it up first. Thought and desire must come before a dream can manifest. And, thoughts and desires have devised our entire world as we know it. Look to the past to truly let this sink in. Imagine how many people would have thought that a visit to the moon was utterly crazy? Electricity would have seemed the epitome of supernatural magic and aeroplanes a wild sci-fi fantasy! What is the seed that planted the extraordinary dream in the first place? A tiny, fertile thought, coupled with a singing heart. Having that one thought is how you start to help your dreams come true. I’m going to plan an island holiday. Then, silence your mind and feel the particular emotion the thought has created. It’s likely to feel like a buzz in your stomach, a smile stretching your face, a warm glow in your chest. These feelings will inspire further positive thoughts about where you’ll go, the delicious food you’ll eat, the adventures in store…and on it goes. I will never be able to leave this job I hate. Your chest may tighten, you’ll frown, nausea may clench your stomach and your whole body will tense. Having allowed one negative thought to infect your mindset, more negative thoughts will flood your mind, like, how much of a loser you are, how stuck you are and how everyone else is happier than you. Practice this experiment for a week, every day. It gives you irrefutable proof that you have the ability to choose your own thoughts and, therefore, emotions. Then, you’ll realise that even in the midst of hating your job, for example, no one can stop you thinking about planning a holiday. When you do, you get back on track with your emotions, stay motivated and save your body a whole lot of stress in the meantime. Now that you’re practising precision thinking, and you can tell the difference between a useful, manifesting thought and a sabotaging negative one, have a good think about your long-held dreams. Or, if you can’t think of any right now, write a list of everything you love, read them out loud and allow yourself to feel an emotion associated with each. You might discover that an expensive car, a mansion, an executive career or a picket fence are other people’s dreams. Therefore, you’ve been chasing the wrong things because you think other people, or society in general, admire them. This means your heart hasn’t been singing very loudly, as your thoughts have been going in a direction that’s not authentic to you. Keep it simple, as in use one-word items like ‘flower’ or ‘boat’ or ‘creating’ or ‘travel’ or ‘helping’. Your heart will tell you which is most special to you, literally via a physical sensation, every time you intentionally ask yourself what you want. Once you decide what your next dream is, stuff yourself with information about it. Surprisingly, this can be difficult as many of us think it’s a waste of time to indulge in pondering our dreams. After all, there’s always work to be done and chores to complete and achieving to worry about. But, we must water our dreams. We must fertilise them. We must keep them in the forefront of our minds and deliberately engage in wonderful fantasies about how it will feel when we’re living them. This is what propels us to take action towards them. As you start to proactively help your dreams come true, by researching, making vision boards, studying or saving money, it’s easy to get knocked off track by what you perceive to be random, external events. Know that they rarely are. You could spend infuriating months on a crashing computer figuring out how to create a website, or weeks in the shed mastering new tools, or hours on re-writing one tiny opening sentence for an article. As you smack your head up against the proverbial brick wall, you wonder, “why is it so hard?” In reality, it only appears hard because you’re learning. The answers are there, every time, when you drop the struggle and accept that effort is just a requirement, not an overwhelming hardship. Most dreams would not, in fact, be very fulfilling without the challenge of learning to master new skills, thereby allowing you to grow holistically. There’s no hurry, so relax into the learning experience and know that each challenge is teaching you valuable lessons in order to help your dreams come true. 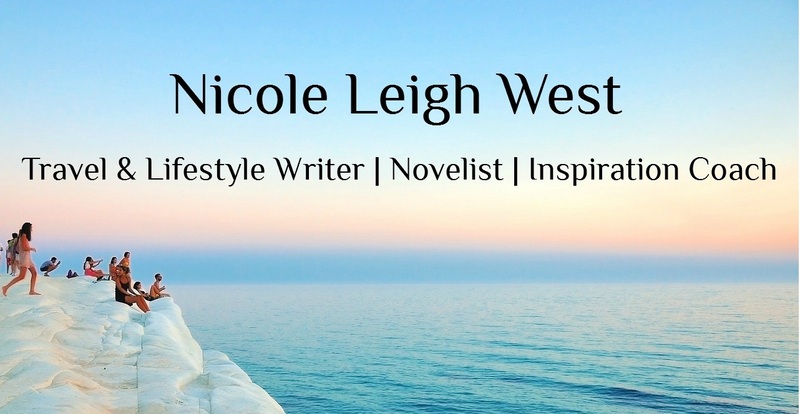 I’ve fulfilled some of my biggest dreams, like travelling the globe, writing professionally, creating an inspirational website and getting a publishing contract for a novel. Before that, I worked as a professional dancer, which, when I was in my teens, was my wildest dream. I’ve dealt with warnings about delving into careers labelled as unstable, frivolous, non-lucrative and pure fantasy, since I can remember. However, I’ve never been able to ignore it when my heart sings, and I’m ever-grateful for it. My dreams required many steps, sometimes very long, steep and rocky steps. A professional dancing career commences with years of training and writing is only something that results from endless practice. Both paths are littered with the artist’s curse (or blessing) of being wide open to opinion and subject to intense criticism, rejection and poverty. But has it been hard work, in terms of the very definition of the word? No. Not when I was taking one step at a time, keeping rhythm with my desire. It’s oh so true that, when you go with the flow, everything tends to fall into place. The most important thing to remember, to help your dreams come true, is that the journey towards them is even more enjoyable than actually achieving them. Cherish each step, nurture the next with positive thoughts and don’t look back. After all, your next dream is always just another thought away.